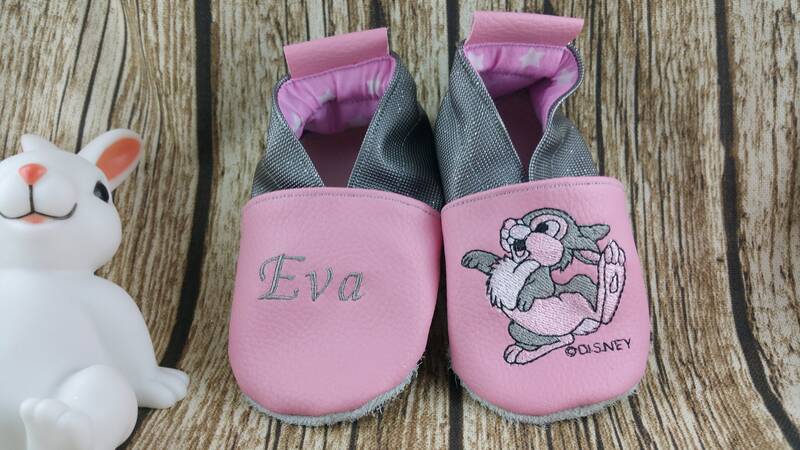 Soft slippers made of imitation leather for the front part and the rear part. 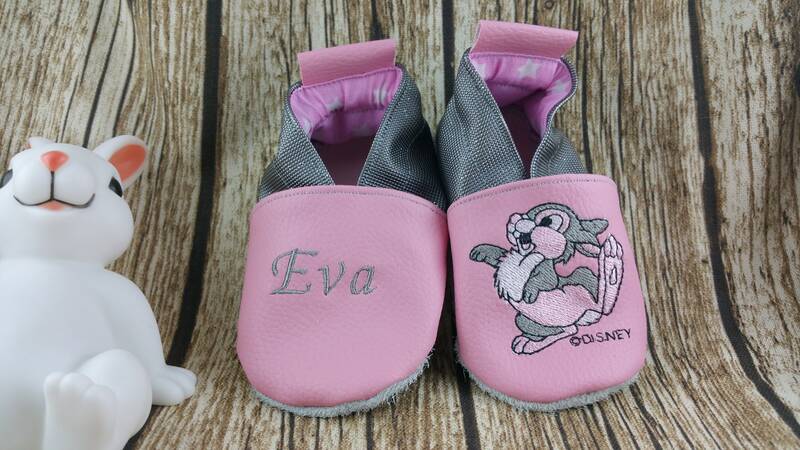 The sole of the slippers is made of leather. They are elasticated at the ankle to hold well to the feet. 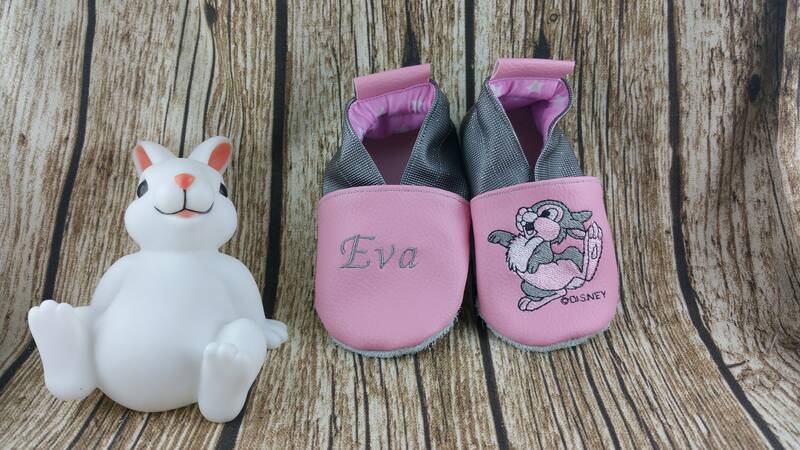 The slippers presented here is made of pink leatherette on the front and grey on the back with embroidery representing a rabbit one foot and the name's child on the other. The picture shows you an example of product produced, it is not contractual. You have the possibility to make it fully customize by choosing colors and embroidery.